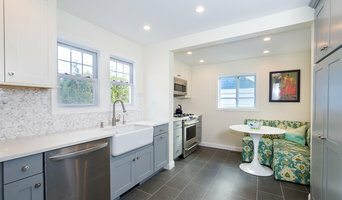 HOMEREDI is a revolutionary full service renovation company that offers a Quick, Easy and Affordable approach for Home Buyers, Home Owners and Realtors to engage the most reliable company in Long Island for their home Preparation and Renovation service needs. HOMEREDI is a fully Licensed and Insured General Contracting Company. For Home Buyers HOMEREDI has developed the FastTrack process which is a result of decades of owner’s construction and home renovation experience. FastTrack process can begin when Home Buyers have located a specific home that they would like to submit an offer to purchase but they are hesitant to do so because the cost of potential renovation is unknown. Once HOMEREDI is contacted and an appointment has been scheduled, our professionally trained estimators will meet with you and prepare a Renovation Estimate for the desired work for the Home of your interest. Most Estimates that do not require any building permits are prepared within 24 hours from your initial meeting with our estimators. As part of your signed contract, HOMEREDI will provide you with Free Kitchen and Bathroom Designs services. Our Kitchen Designs include full schematic and 3D renderings. 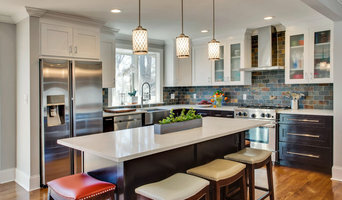 As a preferred client you will also receive contractor pricing for your Brand Name American Made Kitchen Cabinets, Counter-tops, Tiles, Name Brand Appliances, Bathroom Vanities and full Bathroom Fixtures. As a Home Buyers you will also receive a Guaranteed Start Date for your Renovation project scheduled for one day after your closing date given that your HOMEREDI contract has been executed and down payments have been received in advance. HOMEREDI Painting expertise has been brought to you by our team of Painting Experts with more than 50 years of combined hands on experience in all aspects of interior and exterior painting projects completed for our discerning clients in the North Shore of Long Island. We help you select Paint colors for every room and for every style genre to ultimately give your home a new and exciting stylish facelift. All Real Estate professionals agree that a well commissioned and staged home will sell quicker and for a higher price than homes that neglect the importance of a pristine paint job. Please view our Painting Services on our website. A. B. Lake Construction Corp.
A.B. Lake Construction is renowned for crafting custom built homes, renovations, and upscale trophy residences. 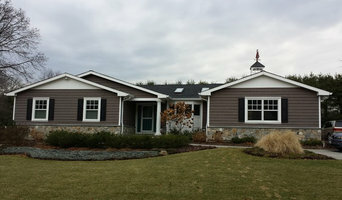 We build traditional and modern homes that our Long Island neighbors proudly call their own. A.B. Lake Construction, of Mineola, is a full-service building contractor that specializes in every aspect of home construction. You can expect us to provide the highest quality craftsmanship and custom building products at the most competitive prices. Throughout our more than 30 year history, A.B. Lake has consistently demonstrated strength and success while fulfilling our clients’ dreams. From Great Neck and Manhasset to Northport and Lloyd Harbor, satisfied Long Islanders have relied on our family business to realize their ‘forever home.’ If you plan to build, extend or renovate your home in the near future, please contact us today. A. B. Lake Construction will be glad to continue our proud tradition of service excellence as we create your unique home project. Recognized for quality and integrity, George W. Combs, Inc. has built and remodeled a portfolio of fine custom homes that illustrates a rare combination of attention to detail, craftsmanship and the ability to help a homeowner's vision and an architect's design come to life. In addition to working with the homeowner and architect throughout the project, George W. Combs, Inc. collaborates with professionals such as specialty engineers, landscape architects, and interior decorators. George W. Combs, Inc. upholds the focus towards attention to detail, and being part of a dedicated team of professionals to realize that vision. We are a full service general construction firm. We specialize in high-end interior renovations at a reasonable price. Prime Renovations is a design/build firm that integrates design, realistic costing, construction and construction management. We work on both residential and commercial projects in the New York City area. We work closely with our clients throughout the process, relying on open communication so that everyone is always on the same page. Our mission is to make renovations a great experience for our clients. It is a very tough business and we make it easy. We welcome first time renovators! ZEUS is one of the industry leaders in Commercial and Residential construction, renovation and maintenance. We are a family owned and operated business with a combined 30 years of experience. We provide superior expertise in building new structures and renovations of existing structures. Our services include General Construction, Construction Management and Owner’s Representation. Zeus can manage and execute an entire project using its in-house staff. We coordinate and schedule all design and construction processes, including the selection, hiring and overseeing of specialty trade sub-contractors. Each project we undertake is handled with a team approach. Our Project Managers work closely with a carefully chosen team of sub-contractors best suited for the project’s requirements. Our team works closely with our clients throughout the construction process, to ensure the best quality of service. Zeus is licensed and insured in New York City and Suffolk County. When it's time to remodel your home's existing footprint, or build an extension to let your family spread their wings, make sure you do it with the best. Sumrick Builders is your one-stop shop for everything from architectural planning and residential remodeling, kitchens, baths and build to suit commercial build outs. No matter how big, or how small, Sumrick Builders can take your project from dream to reality! General, or construction contractors, are often known as project managers. They oversee the entire remodeling or new home construction project and facilitate all day-to-day tasks that move it toward completion. A Sands Point general building contractor will work with your architect to review plan as you build a house and ensure everything is in place before work is started as well as arrange for permits and necessary inspections. 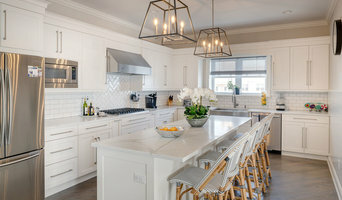 While good local home improvement contractors in Sands Point will have the skills to handle certain tasks onsite, such as carpentry, he or she is also responsible for hiring subcontractors for the majority of jobs, such as electrical work, painting or plumbing. In addition, the general contractor should be on-site regularly to inspect the progress and resolve issues. Here are some related professionals and vendors to complement the work of general contractors: Architects & Building Designers, Interior Designers & Decorators, Landscape Architects & Landscape Designers, Kitchen & Bath Designers, Specialty Contractors. Home remodeling contractors are a must for successful completion of a renovation. Because of this, it's essential that you do your homework before deciding on the right general contractor in Sands Point as you remodel or build a house. Inspect bids carefully. Was it ready when the contractor promised it? Was the bid for building a home unusually high or low? Each of these things can be very telling: A late bid may reflect timing standards, and an off-the-mark bid could be code for a pricey premium or a deliberate underbid to score the remodeling job. You should call references, carefully read reviews and visit completed projects in Sands Point, NY to see if they’re what you expect for your job. Once you do secure your local Sands Point contractors, read the contract very carefully to be sure everyone is on the same page. Find a Sands Point contractor on Houzz. Narrow your search in the Professionals section of the website to Sands Point, NY home contractors. You can also search for photos in Sands Point, NY and contact the Sands Point general contractor who worked on the project.